Well, I’ve made up my mind about the 8:58 album and it’s great. Taking the lead from the last Orbital release (Wonky in 2012), Paul has partnered with several artists including Robert Smith (The Cure), The Unthanks, Lisa Knapp and actor Cillian Murphy (Sunshine, Batman Begins, Peaky Blinders) to create a folk/dance/soundtrack cross over album which cannot fail to warm the hearts of ageing ravers who long ago traded in their glow sticks. Among the delights on offer is a reworking of Please from Paul’s earlier solo album (The Ideal Condition, 2007), this time augmenting Robert Smith’s existing vocals with those of folk singer Lianne Hall and adding more oomf to proceedings. Lianne had previously worked with Paul on An Ideal Condition and together written an album of songs called Brave The Woods that she would eventually release under the name Haunted House. It’s very hard to get hold of as only 100 were made. I’ve tried and failed. Oh, and before their collaboration Lianne was actually Paul’s cleaner! Not content with just one Cure contribution on the album and continuing the folk angle (“folktronica” as one reviewer has described the album), Paul also sought assistance from Northumbrian uber-folkies The Unthanks on a hauntingly atmospheric cover of The Cure’s A Forest, the recording of which Paul recalls nearly brought him to tears. There’s at least two dancefloor driven tracks in Nearly There and Cemetry while the previously mentioned Please makes it very hard to sit still, especially in its new jacked-up form and has been banging around my head for days now. 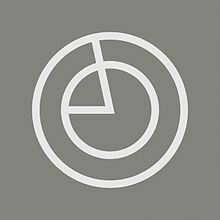 That said, while the album has been getting some decent coverage on UK radio (step forward BBC 6Music) I’m worried that the lack of Orbital branding means that it is passing by many prospective fans (I couldn’t find it easily in my local record shop). This needs to be heard. It’s great and Paul Hartnoll is a genuine talent. While some may dismiss Orbital as part of a superficial rave culture, they won’t appreciate the quality catalogue Paul and Phil left behind – 8 albums, 3 soundtracks (Event Horizon, Octane, Pusher) – and countless era-defining live sets. Phil has continued in this tradition, not only with 8:58 but more soundtrack work (Peaky Blinders). If I was a music teacher I know what I would be asking my students to listen to. 8:58 is available through all the usual on and offline retailers (if you can find it) as a single and deluxe double CD, vinyl and download. I bought the deluxe cd edition as it had a second disc of instrumental versions and an extra track Risky . This entry was posted in 2010s and tagged 8:58, Cillian Murphy, Lianne Hall, orbital, paul hartnoll, phil hartnoll, Rave, Robert Smith, soundtrack, The Cure, The Unthanks. Bookmark the permalink. I like the sound of that Robert Smith appearance! It’s great and well worth a listen. So too is the cover of A Forest. Spooky!